The name means 'flower of flowers'. In Indonesia, the flower petals are strewn upon the bed on wedding nights. The oil was once a popular ingredient of hair preparations in Europe and was known as macassar oil. It is a tall tropical tree about 20 meters (60 feet) high with large, tender, fragrant pink, mauve or yellow flowers and is cultivated in Java, Sumatra, Reunion, Madagascar and the Comores. The flowers are very fragrant often growing in clusters .Fruit oblong and indehiscent with 3-13 pale brown,seeds embedded in yellow and oily pulp. Ylang ylang oil has an exotic, sweet smell and is slightly yellow in color. It is generally the yellow flower from which ylang ylang essential oil is extracted. Aroma : Fresh, floral, sweet, slightly fruity, fragrant yet delicate. Chemical constituents: YlangYlang oil has various chemical compounds that include monoterpenes, sesquiterpenes, eugenol and safrole. The essential oil contains linalool, geranyl acetate, caryophyllene, cresyl methyl ether, methyl benzoate, benzyl acetate, benzyl benzoate and other sesquiterpenes. Extraction: YlangYlang oil is extracted from the freshly picked flowers of the ylang ylang tree by steam distillation. The aromatherapy properties includes antidepressant, anti-infectious, euphoric, aphrodisiac, relaxant, antiseborrhoeic, antiseptic, hypotensive, nervine, regulator, sedative (nervous), stimulant (circulatory) and tonic. Ylang Ylang oil is used in aromatherapy to control sebum production. It is regarded as being very useful for dealing with both oily and dry skin conditions. This is because this essential oil seems to soften the skin with its ability to balance the level of moisture within the skin. It is useful in situation like depression, nervous tension, high blood pressure, hyperpnoea (abnormally fast breathing), tachycardia, palpitations and digestive upsets and try to overcome these hindrances. It is very useful for skin care such as for acne, hair growth, hair rinse, insect bites, irritated and oily skin. An ointment is derived from ylang ylang which is put to several uses including cosmetic purposes, hair care, skin diseases. 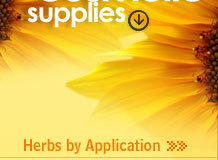 It is used to prevent fevers and to combat infections. In the Pacific region, women use ylang ylang oil in a blend with coconut oil on their hair. Ylang oil is also used as a body moisturizer and also to prevent fevers and combat infections. Ylang ylang oil is used in the bath, inhalations, vaporizer, local massage, skin ointments and lotions. It is high grade essential oil used in soap making, massage oils, bath oil and also as a perfume body oil. It is regarded as very expensive oil. It is also used as a tonic for the scalp and to encourage the growth of hair. Ylang Ylang oil also is used as a shampoo base or as a hair conditioner by blending it with a carrier oil (e.g, jojoba oil) and massaging it into the hair tips after shampooing the hair. This helps reduce the incidence of split ends in the hair. 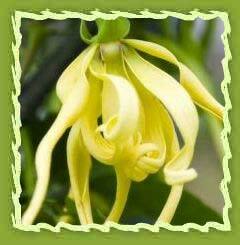 Ylang ylang is used in perfumery industry due to its rich aroma and is regarded top quality oil. The absolute is also used in making soaps and detergents. The ylang ylang absolute and concrete have a long-lasting floral aroma, quite suitable for perfumes and soap fragrances. It is commonly used as a fragrance in household and personal care products such as soap, detergent, shampoos and skin lotions due to the presence of linalool in it. It is used to scent candles, freshen potpourri and preparing insect repellents also. It is used in synthetic perfumes and other fragranced products due to presence of caryophyllene in it. Ylang ylang blends well with Bergamot, Clary sage, Grapefruit, Jasmine, Lavender, Lemon, Melissa or Lemon Balm, Neroli, Patchouli, Rose, Rosewood. Ylang Ylang flowers have been used to cover the beds of newlywed couples on their wedding night in South Asian cultures. It is used as a food preservative due to the presence of benzene derivative. It is used primarily as a flavouring agent, in a variety of foods and pharmaceutical products and as an analgesic in dental materials. It is used as a a flavouring agent in baked goods, candy and chewing gum. Yes! I am Interested !